Consolidation of all the downstream units of state-run explorer Oil and Natural Gas Corp (ONGC) under Hindustan Petroleum (HPCL) post the merger of the two companies will help streamline operations and bring efficiencies, M K Surana, Chairman and Managing Director (CMD) of HPCL said. While official talks on the matter have not been initiated so far, the possibility of consolidating ONGC Petro Additions Ltd (OPaL), ONGC Mangalore Petrochemicals Limited (OMPL) and Mangalore Refinery and Petrochemicals Limited (MRPL) with the state-owned refiner HPCL makes operational sense, he said. "We have not started any formal discussion on this. Logically, it makes sense to have MRPL integrated with HPCL because MRPL is a standalone refinery. They do not have a marketing setup. HPCL sells more than what it refines on its own. There is a gap between marketing and refining in that aspect. With HPCL, MRPL can fill in that gap," Surana told source. "Traditionally, ONGC has been into the upstream business. It makes sense for MRPL, OMPL, OPaL to be integrated with HPCL in order to create one downstream unit. 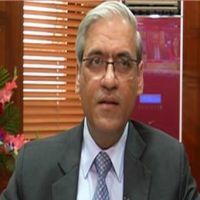 HPCL already has plans to expand its petrochemical assets and the integration with OMPL and OPaL will further add value to our already existing and upcoming assets," Surana said, adding HPCL's refinery capacity will increase to 61 Million Tonne (MT) per annum taking into account its own expansion plans and ONGCs downstream assets. "When talks do start, all the options will be explored but a merger seems like a better option as both the entities are in the same business," Surana said. He had earlier this week told media persons a merger between MRPL and HPCL can take place through a share-swap plus cash deal or HPCL can acquire MRPL by buying out ONGC's share. ONGC currently has 71.63 per cent stake in MRPL while HPCL holds 16.96 per cent in the government-owned refiner. ONGC's nod to acquire HPCL has fueled discussions on the added benefits of integrating ONGC's downstream assets with HPCL. ONGC Chairman Shashi Shanker had last week told source the company is not looking at tampering with HPCL's corporate identity or management and that a further downstream integration is a viable option. However, a lot needs to be done before such an integration takes place, he said. ONGC had, in a Bombay Stock Exchange (BSE) filing on Tuesday, said it has entered into loan agreements with Punjab National Bank, Bank of India and Axis Bank for borrowing Rs 18,060 crore for the HPCL acquisition. The company is likely to sign more loan agreements to pay Rs 36,915 crore to the government before the month-end.